If you hadn’t already heard (or read) the news, today (March 30, 2019) is the 80th anniversary of Batman’s debut in Detective Comics #27. To commemorate the occasion, DC Comics published the 1000th issue of Detective Comics. Typical of comic books these days, a whole bunch of variant covers were released for the landmark issue. This is the one I ended up buying, a retro-style cover by Michael Cho. Surprising myself, I passed on the Frank Miller cover. As much as I love Miller’s work — and the heavy influence he’s had on Batman — that illustration was messy and dark. I wanted something more fun. 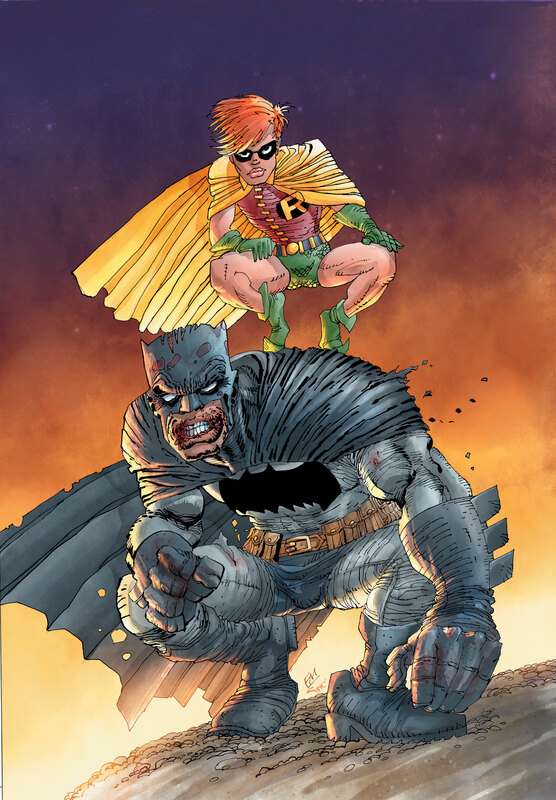 Cho’s cover also alludes to how versatile Batman is as a character. He works in any genre, any style, something I wrote about five years ago. A few months ago, my nieces stopped over for a visit. With their mother around, watching TV or playing with the iPad wasn’t an option. So the kids went to Uncle Ian’s room to find some toys to play with or books to read. While we were doodling on sketch pads, Junior Niece asked me, “Why do you like Batman so much?” What do you mean, kid? Why do you ask think I like Batman?She then took some Blu-rays from my TV stand and set them down in front of me. Hmm, the kid had a point.